When sending an envelope through the U.S. Postal Service, you must place sufficient postage on the envelope. If you do not affix enough postage, the post office generally will return the envelope to you; in rare cases, the item will be delivered "postage due:" that is, the addressee may have to pay the shortfall. If one stamp isn't enough to cover the postage, use more. This is acceptable, as long as the return address and mailing address are easily visible by the postal employees. Determine the weight of the envelope and the postage necessary. If you have a postage scale, weigh the envelope. Visit the U.S. 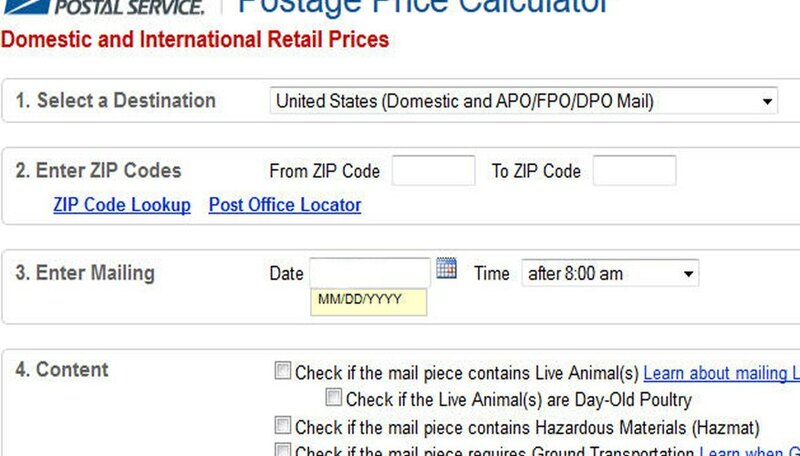 Postal Service website for a chart detailing postage rates for envelopes. If you do not have a postage scale, visit the post office and have your envelope weighed there. Determine the proper postage for your envelope. Envelopes for regular letters generally are mailed First Class, and can weigh no more than 3.5 ounces. In 2014, the First Class rates were increased to 49 cents for the first ounce and 21 cents for each additional ounce or fraction thereof. Thus, a 1.5 ounce letter would cost 70 cents, a letter weighing 3 ounces would cost 91 cents, and a 3.5 ounce letter, the maximum allowable, would cost $1.12. A standard First Class or Forever stamp costs 49 cents; in addition, the Postal Services sells stamps in several other denominations, including 21 cents. A single first class stamp plus a single 21-cent stamp is sufficient to mail a 2-ounce letter; add another 21-cent stamp and you have enough for a 3-ounce envelope. 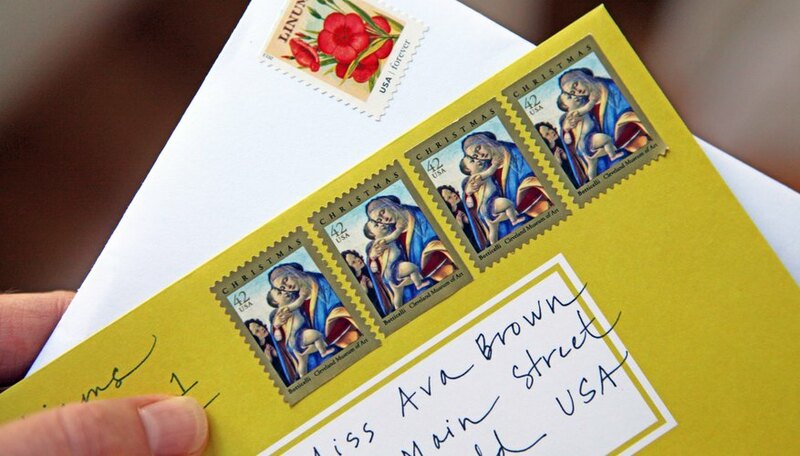 Place the postage stamps on the upper right corner of the envelope. When more than one stamp is required, begin placing the stamps in the uppermost right corner and place additional stamps in a line across the top of the envelope (right next to each other). 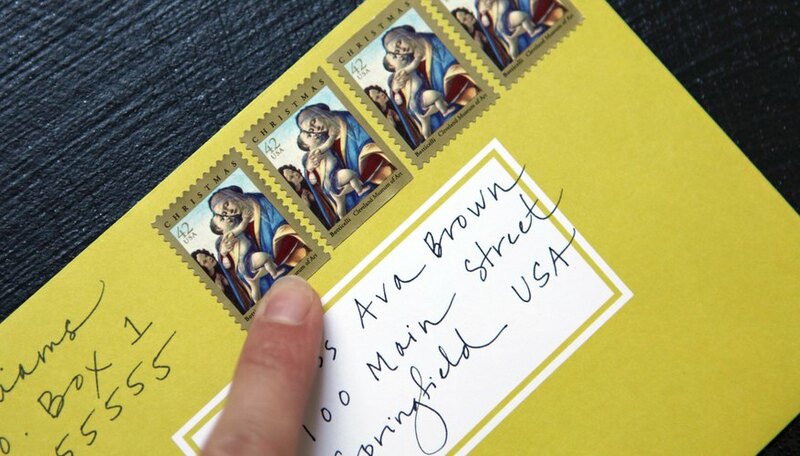 Stop placing stamps when you are about 2 inches away from the return address (in the upper left corner). Continue placing additional stamps in another row underneath the first row, if necessary. Do not place stamps so that they obstruct or obscure the return address or the mailing address. Instead, purchase a postage meter strip for the exact amount directly from the post office, place it on your envelope and mail it. 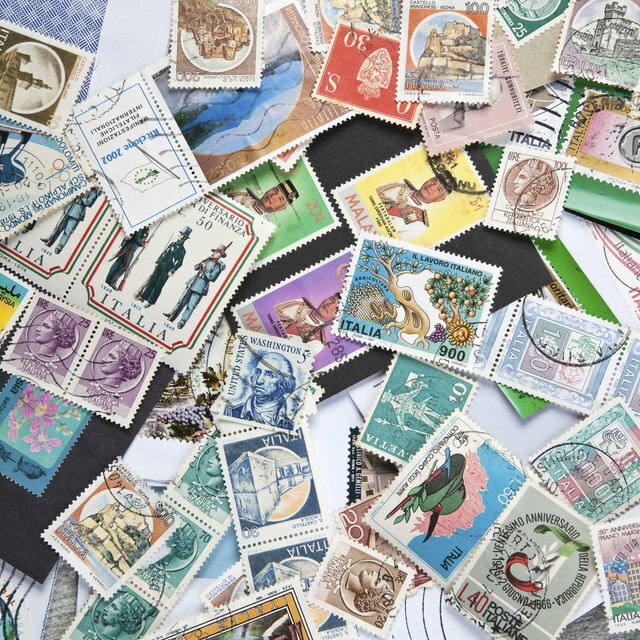 Hang on to older unused stamps of varying denominations - postage never expires, though once cancelled, it cannot be reused. You can always use older stamps to meet modern postage requirements.